GALA Italia took place today, despite the snow "storm" and the wintery weather. It seems to me that since 2007 that I became a regular attendee at the GALA Italia, it snows the day of the event. So, what better than wine tasting and Parmesan cheese when Manhattan is taken by a snow storm? The informal tasting luncheon was held at Marriott Marquis Hotel - in the Manhattan Ballroom on the 8th floor. The menu, courtesy of Marriott's executive chef Armano Monterroso included a fresh and balanced roasted vegetable wild rice salad and haricot verts with bacon, pecans, cherry tomatoes and garlic; pleasantly warm herb roasted chicken breast and sauteed mushrooms and pan gravy; nicely baked salmon with asparagus tips and lemon caper sauce; garlic smashed potatoes and seasonal vegetables. For dessert, guests tasted the Tuscan selection of typical Siena's cakes and biscuits; apple tart; New York mini cheesecakes and parrozzino. Guests also tasted a number of wines, all of which were at the tasting tables on the 6th floor. I will make a note of the Prosecco di Valdobbiadene Spumante Millesimato 2009 and of the Fattoria di Montecchio, Chianti Classico Riserva 2005. It was a simple and elegant lunch and if you were lucky, you could be strategically seated next to an Italian producer and ask interesting questions about the wine trade, the trends and the weather in Italy. All, under an awesome view of the Times Squares and the snow falling. Later on, the doors of the 6th floor opened and the 24 different wine stations offering from Prosecco to Barolo and also the Moscato Bianco Nivole, one of my favorites. Parmezan, Provolone and Mozarella cheese with honey, apricot and cherry jams were on the table for a quick bite together with bread sticks and crackers. Amongst of the regular exhibitors were: Nutella and Ferrero, Lavazza coffee and Segafredo. Italian Olive oil producers and the Acqua Smeraldina. Guests seemed to enjoy their wine tasting, strolling leisurely from one station to another with no major rush. When the restaurants started serving their delicacies, attendees moved towards the sides to experience samples from a number of Italian restaurants in the city. Serafina Fabulous Grill offered a thinly cut artichoke salad served with grated Parmesan cheese, light and fresh. SD26, a unique, in taste and presentation, cheese custard and prosciutto on top. Il Punto's citrus salad with strawberries and blueberries was colorful for the eye and mouthwatering; I passed quickly the pasta tables as I am not really a fan. Osteria del Circo vegetable soup was a treat for such a cold day and the desserts from the Caffe Falai were tiny but big enough to satisfy the sugar crave. I found that the GALA Italia this year was less crowded - maybe due to the weather - but far more elegant and selective. Before I forget, there was also the Little Bookroom exhibiting with their travel guides. A new, nice discovery in the world of food and travel books. Whether you are a seasoned connoisseur searching for a full bodied Meritage or a new wine drinker looking for affordable blends that are lighter on the palate, the 3rd Annual New York Wine Expo will have what your readers are looking for…and so much more. The New York Wine Expo (www.NewYorkWineExpo.com) will be hosting its third annual tasting February 26 through 28 at the Jacob Javits Center. French wineries and vineyards will have a significant showing this year, and as always, attendees can continue to look forward to Italian, German, Australian, and South American favorites. Not to be missed of course, local New York, Oregon and California wines. In all, the Grand Tasting offers attendees a chance to sample more than 600 wines from over 170 winemakers from around the globe. Attend the Expo not just for the sampling, but for the learning experience as well. To date, seminar presenters will include Gloria Maroti Frazee, who oversees Wine Spectator School, and Leslie Sbrocco an award-winning author, writer, speaker, and television host whose entertaining approach makes learning about wine and food fun. Go to http://www.wine-expos.com/wine/ny/ for tickets and additional information. Get $10 off from your ticket by using code Schwartz10. 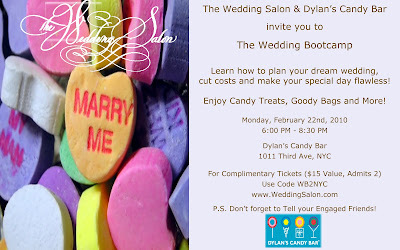 Don't miss the upcoming Wedding event at Dylan's Candy Bar on 2.22 from 6pm. Use Code WB2NYC for complimentary tickets here: http://www.weddingsalon.com/, click events and then bootcamp. 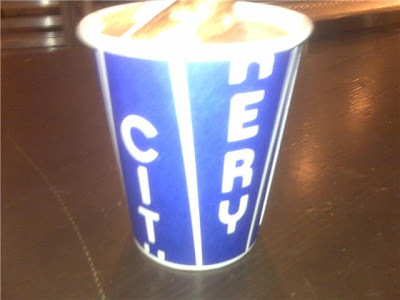 I am not a great fan of hot chocolate but as a local now -by accident rather- New Yorker, I made a stop at the City Bakery cafe for the Hot Chocolate Festival. Food blogs and bloggers, food editors and writers, food experts, locals, all, agree that the City Bakery has the best hot chocolate in town; during the Festival that will last the entire month of February, chocolate lovers can try a new hot chocolate flavor every day. I opted for the Pistachio one yesterday. As I am not an expert, I won't say much. 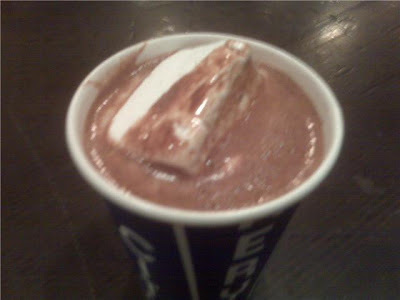 Just this: it was thick, buttery, nutty, hot and the marshmallow inside it made it the ideal drink for a cold, snowy New York day with a trace of nostalgia. 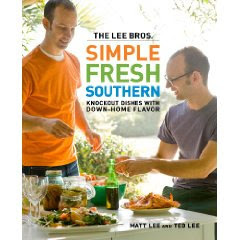 In Simple Fresh Southern: Knockout Dishes with Down-Home Flavor the South Carolina-bred Lee Brothers present their updated take on Southern cuisine, using unexpected combinations and lighter techniques. Respectful of Southern traditions, yet mindful of the realities of modern life, the journalists have devised recipes that achieve soulful flavor without laborious preparations and hard-to-pin-down ingredients. Simple Fresh Southern will satisfy both the die-hard Southern food fanatic and the casual cook looking to expand their repertoire. The Navarra world class wine's tasting was held at W hotel on Tuesday afternoon. I won't say much about the wines but I will stay mainly on the superb delicacies offered to the guests while they were wine tasting and appreciating. Created by Michelin Star Navarran chef David Yarnoz Restaurante El Molino de Urdniz, were all elegant, tasty and proof of his outstanding, modern Spanish cuisine. I adored the foie gras in the spoon, the chicken paired with lemon "foam" and the balanced quail egg in bread crumbs. I couldn't resist the cheese platter with dried fruit, quince, plenty of roasted nuts and berries - my prefered choice matching wine. If your Spanish is good, check here to find out more about Chef's David Yarnoz cuisine and techniques. 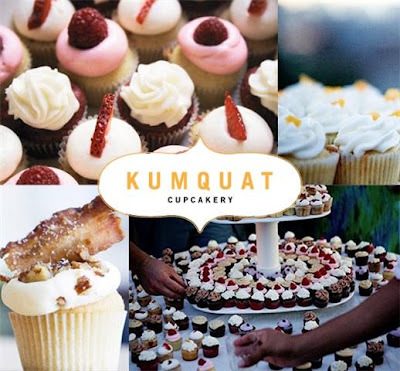 Kumquat cupcakery and Liddabit Sweets will make a sweet pop-up stop at Kill Devil Hill, starting this Thursday, 2.11 to Sunday, 2.14, Valentines day and Chinese New Year! You can visit from 10am to 7pm, all days. So, for your last minute sugary shopping, don't miss this stop. For this occasion, Liddabit Sweets will create a special for V-day, a heart-shaped hibiscus and agave syrup lollipop. We also heard that it will be a passion fruit-cayenne pepper caramel and crisped-rice candy bar! Visit http://www.killdevilhillpresents.blogspot.com/ for more info about this antique store. 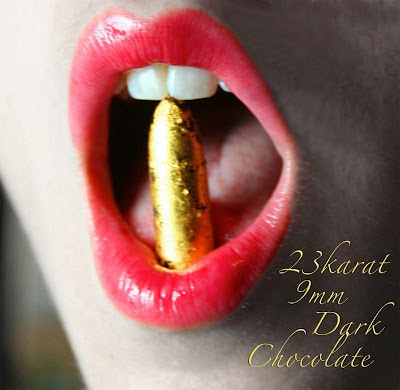 Chocolate & I, New York (CINY), a platform that encourages the exchange of innovative ideas and interests through the substance of chocolate, is about to start this Monday 2.8 with a series of events, tastings and art shows. They all have something in common: CHOCOLATE. Chocolatiers will delight with creative pairings and personal stories. Chefs will blend chocolate with honey, olive oil, or cheese. Food experts will share their passion for artisanal, fairly produced, tasty and healthy food. Mixologists will enchant your palate with fresh infusions and surprising cocktails. Artists will excite your imagination with their most recent work revolving around the relationship and characteristics society attributes to chocolate and the way it affects us on a personal level.Visit 511 W.25th Street, West Chelsea (between 10th and 11th ave.) and discover the world of chocolate like you rarely see it! Chocolounge presented by Migration of Senses. Find room to savor hot chocolate, enjoy locally made delicacies, peruse books on chocolate, food and art, all in a cozy environment. Where: Dark Chocolate Room, from 4pm to 6pm. Join in for a showcase of recent works from both established and emerging artists revolving around the relationship and characteristics society attributes to chocolate and the way it affects us on a personal level. Artists include Elim Chen, Ema, C&T, Jason Krugman, Michelle Mayer, Carolina Vallejo, Asli Sevinc & Charnan Lewis. Where: Milk & White Chocolate Rooms, from 4pm to 7pm. 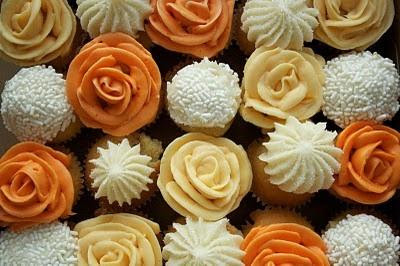 To view the 2010 schedule of free and ticketed events, visit http://chocolateandi-newyork.com/events/. The Italian Trade Commission launched today the VINO 2010 in New York City. The largest convention of Italian wines in America featuring more than 400 producers and importers kicked off today in Waldorf Astoria and Hilton hotels. The convention will last four days and is only open to trade and press. VINO 2010 is being organized with the support of the Italian Ministry of Economic Development and in collaboration of four of Italy's most prominent wine regions: Apulia, Calabria, Tuscany and Veneto. During the press conference, members of the media found out some interesting statistics. First, that Italy remains the number one source of still wine imported to the US, commanding a 31% of the market share. Also, that prosecco is very trendy and particularly popular with the younger generations (i.e. the millennials), therefore, its increase in sales by 14%. Interesting was the comment made by the Italian Trade Commission representative that soon Italian wines will have to face California (let's wait to see what it will happen). Afterwards, press and trade members were invited to an elegant, (even for the writer who is not an Italian cuisine fan) Italian luncheon. As an appetizer, mortadella Bologna and prosciutto San Daniele together with gorgonzola followed by risotto with porcini and parmiggiano reggiano. A tasty and well received herb-roasted chicken, ricotta gnocchi with pancetta, roasted root vegetables and rosemary sauce was the main course -nicely served and much appreciated. Finally, dessert came without surprise: an espresso chocolate mousse, a type of tiramisu otherwise, plenty of cookies and coffee. The wine menu included the Villa Sandi Prosecco, the Rocca Sveva Soave Classico 2008, Fontanafredda Briccotondo Piemonte Barbera 2008 and the Arnaldo Caprai Sagrantino di Montefalco Collepiano 2004. There are plenty of seminars, tastings and more events for the press the following days. We will be there, looking forward to the prosecco seminar early tomorrow morning.